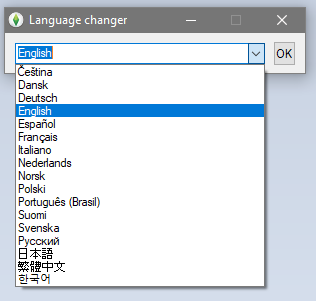 The Sims 4 language changer and DLC toggler. As the name suggests, it changes the language of the game. It should work with all versions of the game. NOTE: If you use the crack from Reloaded (RldOrigin.dll) you need to place the exe in main game directory. This one lets you enable and disable DLCs. Red background = DLC not found. Names are in the same language as your game. Should work with both Reloaded and Codex crack. 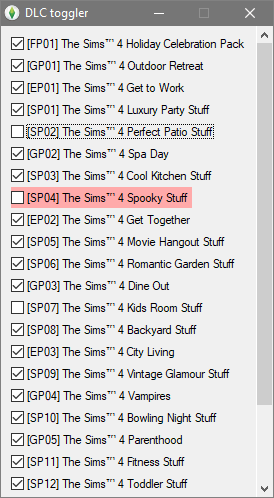 Mod edit: moved to "The Sims 4 tips & tricks". 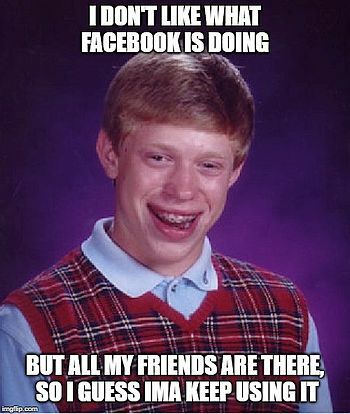 DO NOT POST ANY QUESTIONS OR PROBLEMS IN THIS TOPIC. INSTEAD, PLEASE OPEN A NEW TOPIC IN THE APPROPRIATE FORUM-SECTION, EITHER "THE SIMS 4 DOWNLOADS SUPPORT" OR "THE SIMS 4 IN-GAME SUPPORT"! THANK-YOU-NOTES CAN BE POSTED IN THE APPROPRIATE FORUM-SECTION, or directly under this thread.